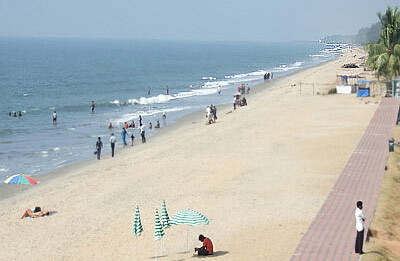 Cherai beach is located in the northern end of Vypin Island , which is 25 km away from city of Cochin .The Cherai beach is very calm and beautiful at the time of the sunset. Hence most of the visitors here do enjoy the Sun bath and swimming. The clean sandy beach is extends to over 10 km, so do a long walk across the sands of the beach is very interesting. Nearest Railway Station: Ernakulam Junction. Nearest Airport: Cochin International Airport ( 20 km ). Daily boat services available from Ernakulam main boat jetty to Vypin. Cherai is about 22 km away from Vypin Island.